Let’s be real here: most vases? Pretty boring. Like, really really boring. Maybe this is supposed to make you appreciate the flowers more, but why wouldn’t you stick pretty things in something that’s already pretty? 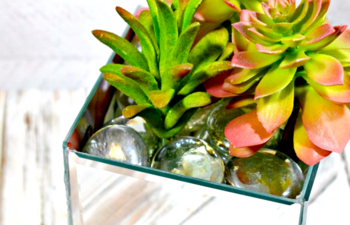 Like this Mirror Planter Box, for instance? This way, your flowers are just as gorgeous as the people looking at them! 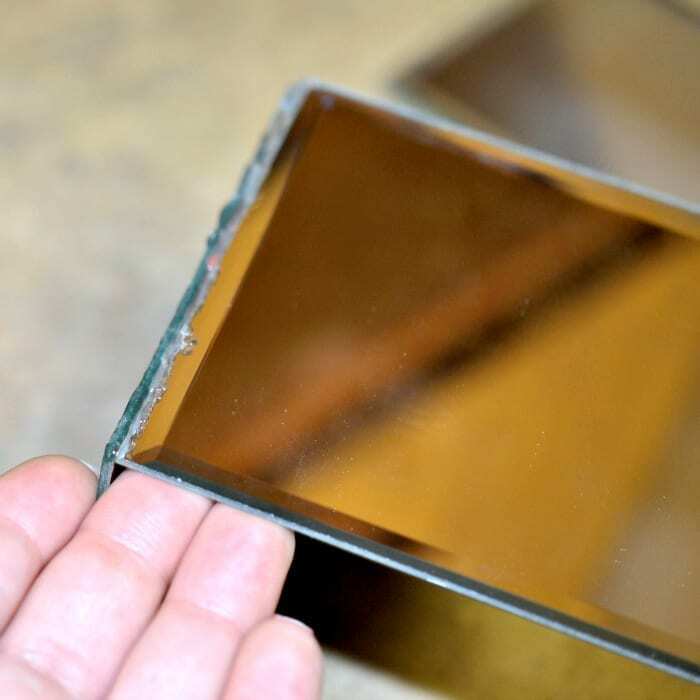 If your square mirrors have any “feet” on the back, you’ll want to remove them from four of the five pieces, leaving the fifth one for the base. Place a line of hot glue along one side of the back of the mirror. Line it up against the base piece (the base piece should be mirror-side up) and press together. 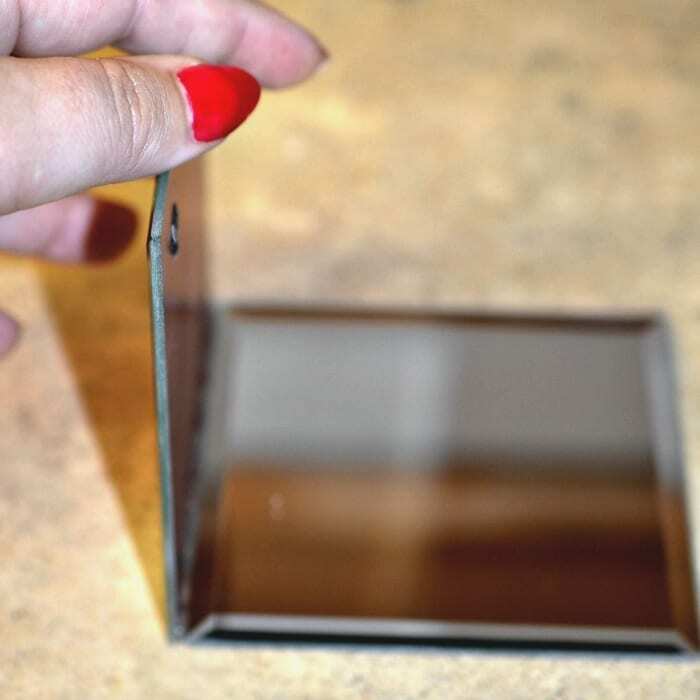 Hold the mirror in place while the glue sets – you can lean it against a box to keep it steady. Repeat the process with another piece of mirror. 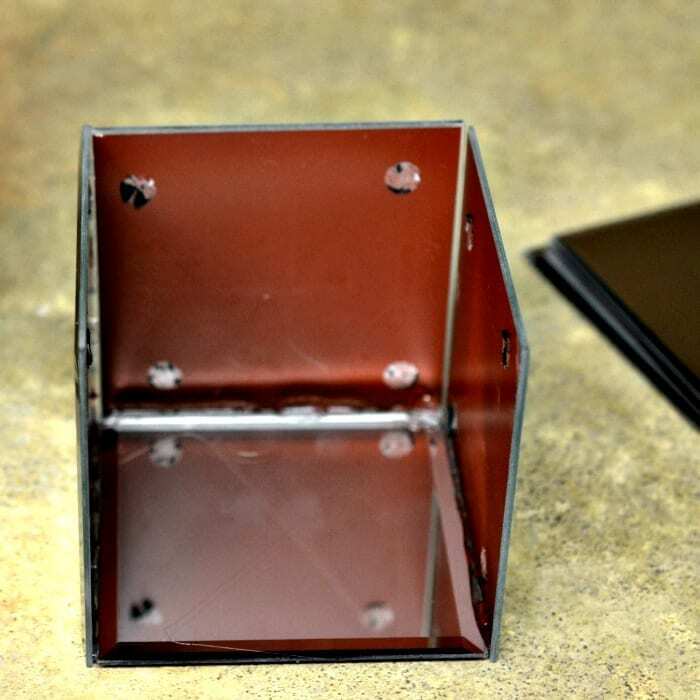 After the glue has set, lean your box on its side and draw a line of glue between the two mirrors to connect them. Repeat this process until all four “walls” of your box are built. 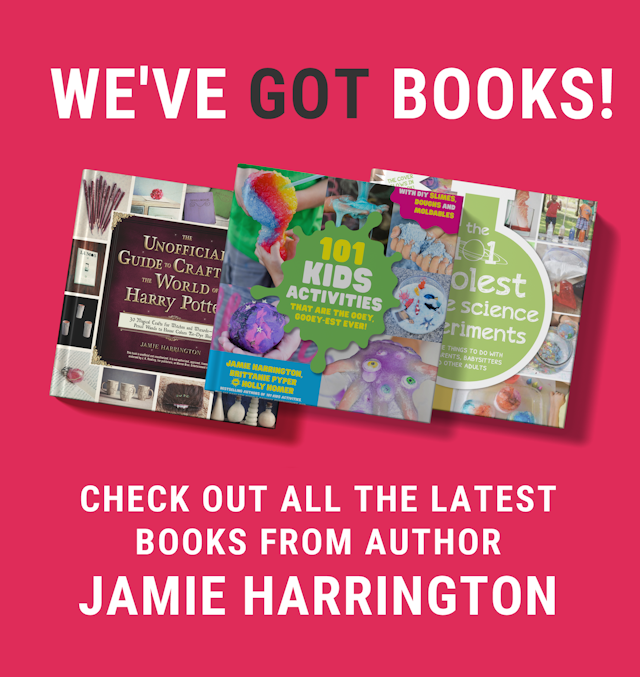 This is a very versatile little craft that you can use to store all sorts of things! Use it for make-up brushes in the bathroom or pens and pencils in the office. 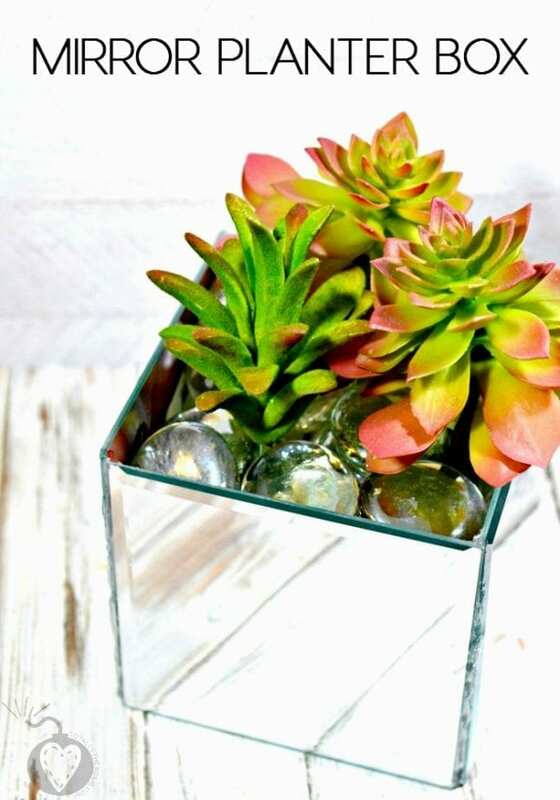 Or, of course, as a planter – it’s better for faux plants, which you can hold in place with a piece of paper and top with water beads to cover it up.